Moulded in low relief with snow on a hedge, set against a dark blue night sky. 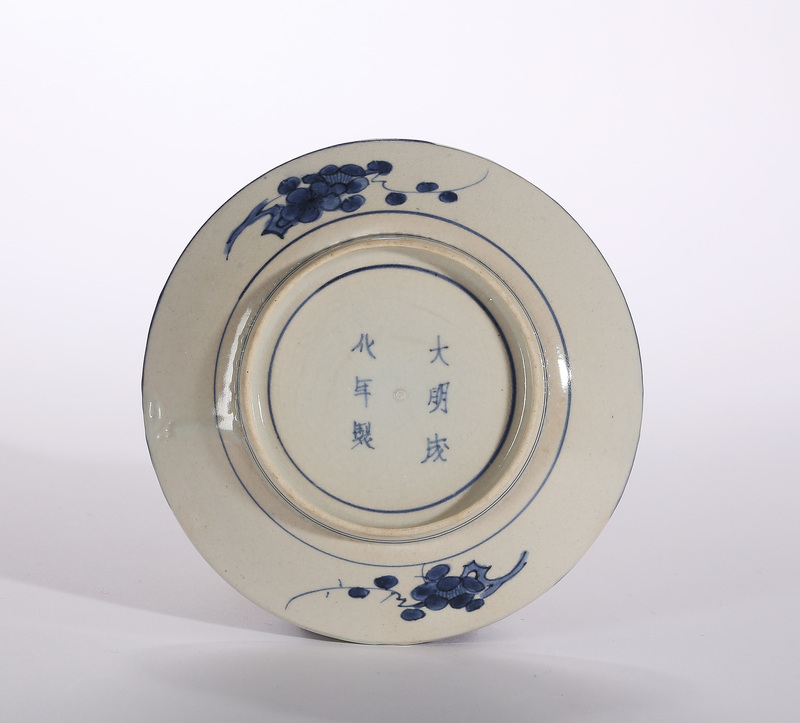 Although the design is in the Japanese taste, and in no way trying to imitate Chinese porcelain, it is marked with a Chinese reign mark to the reverse. 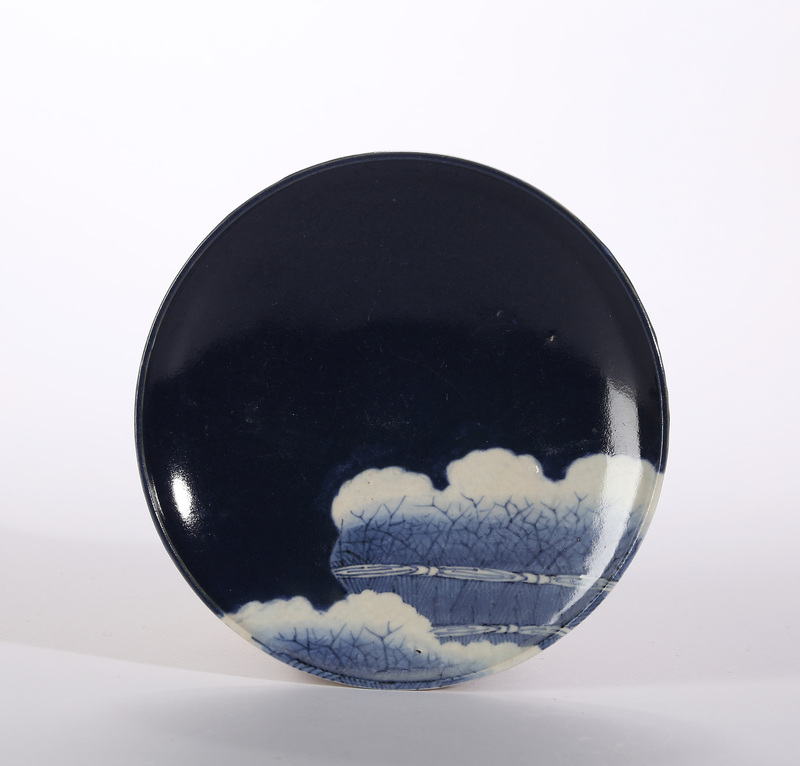 The porcelain itself is quite low fired with fine surface crazing, more visible to the reverse where it is more exposed. A single spur mark on the reverse where is was supported in firing.